Humans are creatures of habit. We consume terabytes of content, but often are stuck in echo chambers with our views bouncing back into the very feeds we share into. Without direct encounters of faith-based conflict, it’s possible to lead a comfortable, pragmatic life without ever thinking about the tensions and conflicts that surround us. Pluralize recognizes that we can’t enable people to have these conversations if we don't first inspire and motivate them. By revealing our tendency to associate disproportionately with people that believe what we believe, Pluralize can produce the mindset necessary for people to be engaged with Interfaith Dialogue. 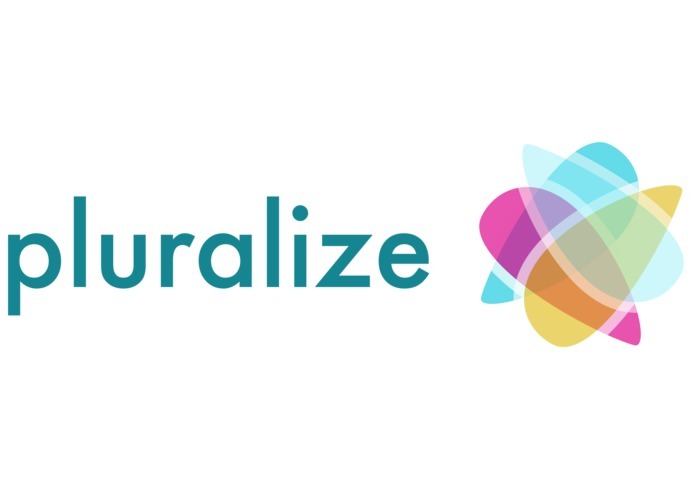 Pluralize helps people become aware of religions in their social vicinity and suggest ways to help them learn about faith. Pluralize is a Chrome extension which uses the existing user’s Facebook login, profile, and friend data to develop a religion demographic map of their direct social network. D3 is used to present this data in a radial graph and show the reader their friends’ religious demographics vs their country and the world. Scraping Facebook turned out to be really challenging as well as piping that data to D3 visualizations. 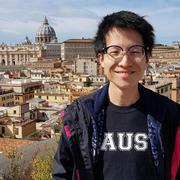 Connecting D3 onto the front-end Chrome extension interface. Pacing ourselves in terms of what work got done at what times. Tackling tasks as a team, ideating solutions to a broad issue, and communicating well. Learning a new language and trying out a hackathon for 2+ of our team. Prioritizing efforts and coming to project and design agreements as a team. 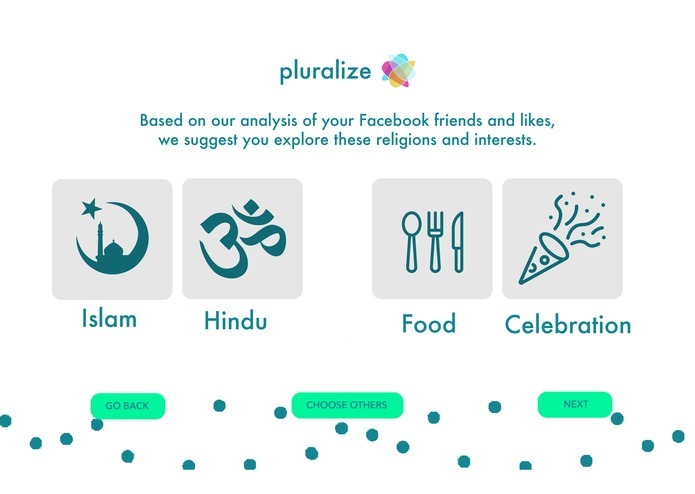 Ideally, Pluralize next suggests customized content based on the users’ religious ‘blind spots’ and existing interests on Facebook - say learning about Islamic food and music. We envision an ability to engage users continually by passively suggesting content based on Facebook interests, religions, existing web browsing habits. 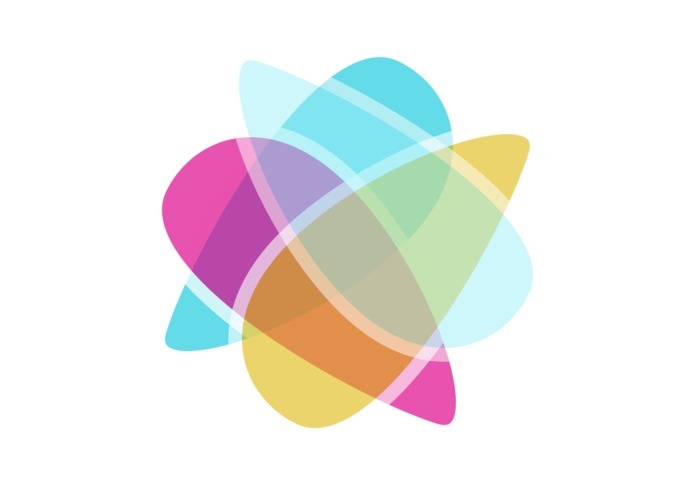 Leveraging social sharing features and acquiring users in strong faith communities will rapidly grow Pluralize’s user base. An engaged user base allows us to build partnerships with community businesses and religious groups to generate revenue. Low-risk, scalable solution that changes peoples’ mindsets about other faiths, making them missionaries of interfaith dialogue in their daily lives. Appreciation of commonalities between religions and increased interfaith engagement. Pluralize introduces you to your own biases and points you towards interfaith learning, opening your eyes to the potential of pluralism.